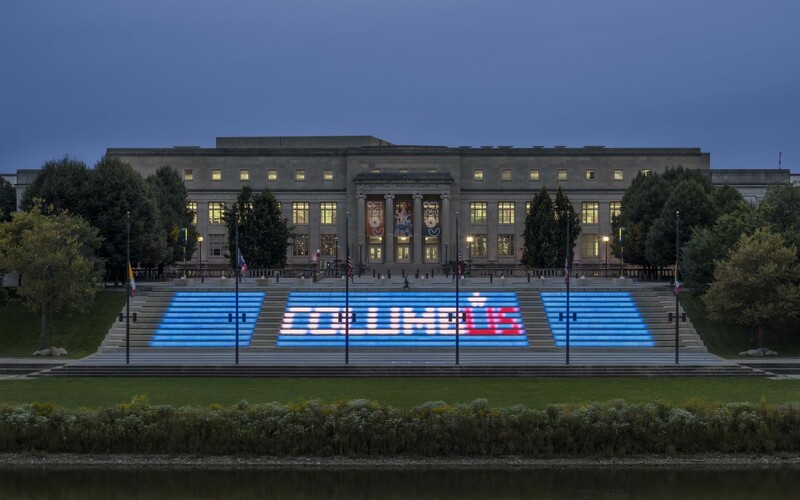 Lumenpulse Lumenfacade luminaires put a dynamic light show across the façade of amphitheater steps in Columbus, Ohio. 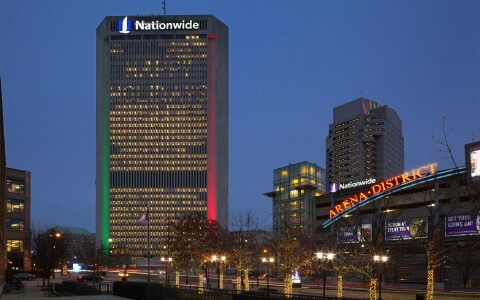 Genoa Park is at the epicenter of the "Scioto Mile," within which is the Riverfront Amphitheater, overlooking stunning views of the Columbus downtown skyline. 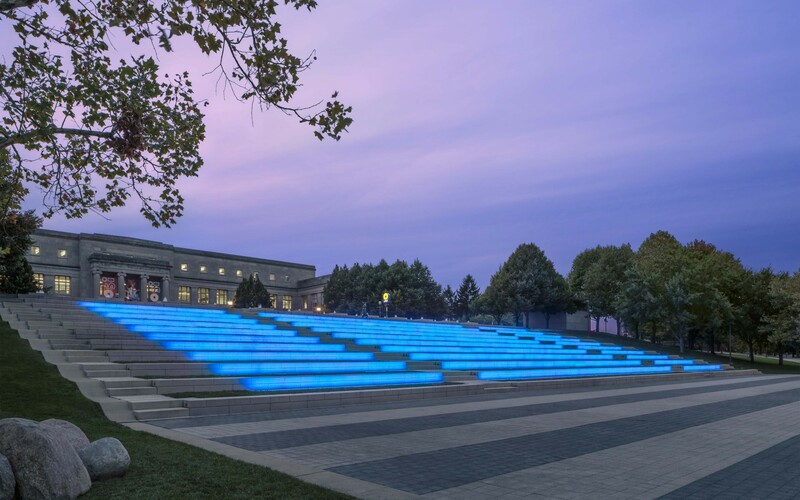 Since the park's restructuring, after the river had been restored to its original state through the removal of dams, the amphitheater attracts thousands of visitors for concerts and events each year. Lighting designers, Illumination Arts, created a lighting scheme that is both a tribute and an attraction, rebranding the amphitheater as a welcoming, multi-use space. 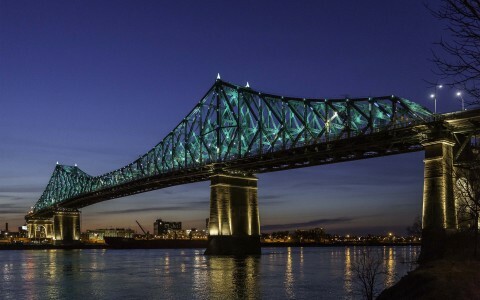 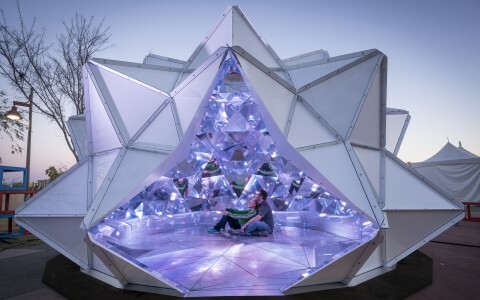 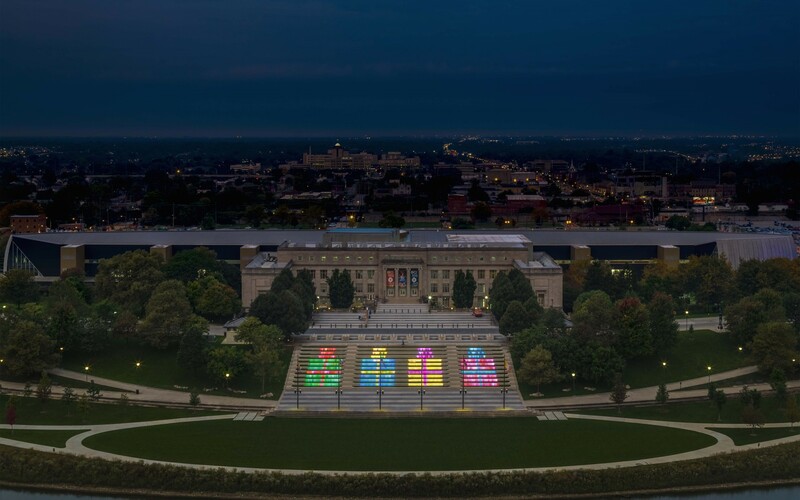 The City looked to develop a number of lighting concepts throughout the park, to create interest in the area and engage with the existing environment, including the accenting of existing structures. 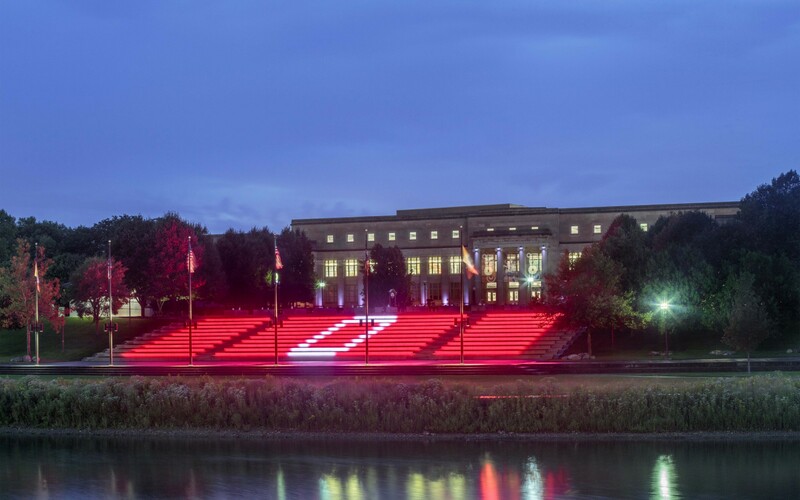 Illumination Arts developed a concept to use the existing steps of the amphitheatre to create a low-resolution screen with Lumenfacade Inground luminaires. 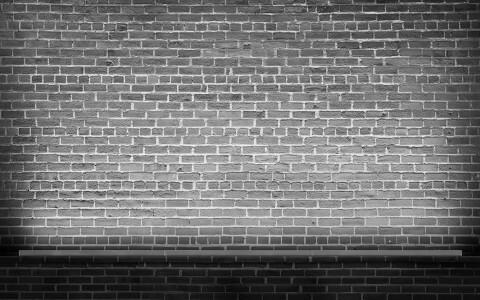 New conduits were dug below the existing steps, and the fixtures were installed, with a setback of six inches from the vertical steps to stop any light spill. 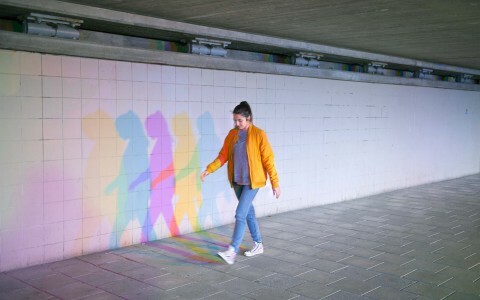 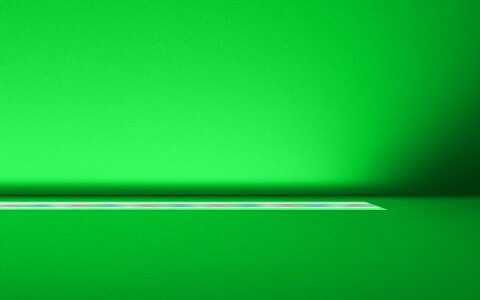 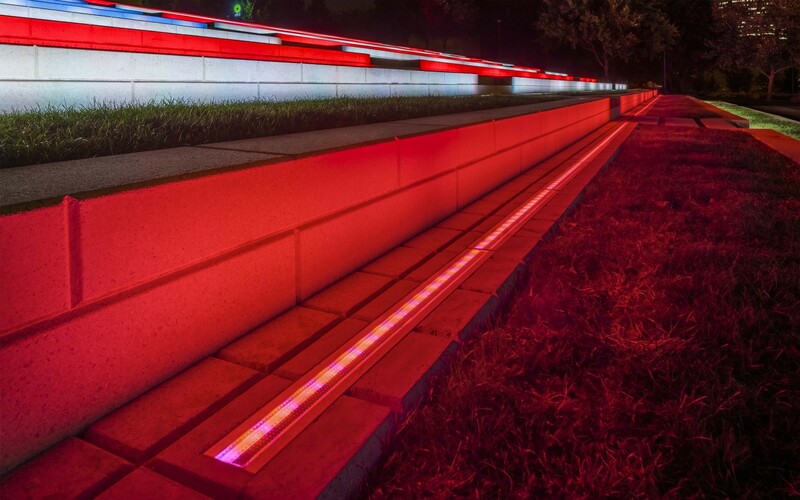 The collaborative efforts between Illuminations Arts and Lumenpulse allowed to achieve a low-angle distribution with tight cut offs for step-wall grazers. 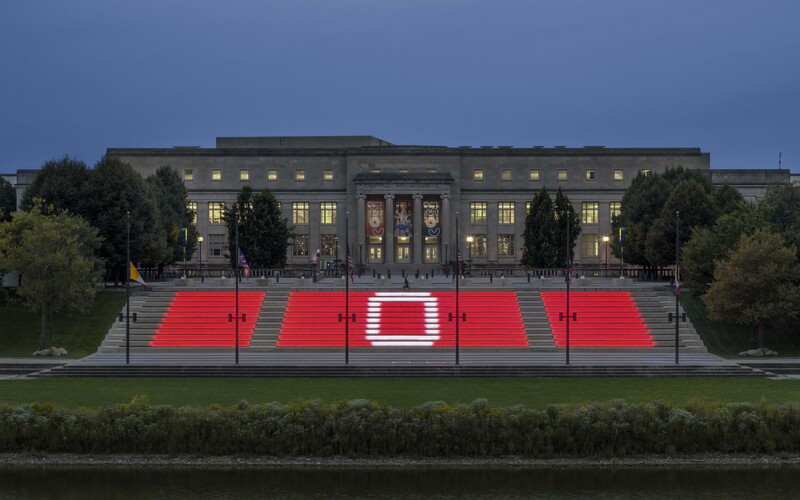 The optics of the Lumenfacade Inground are highly controlled allowing the top of the beams to only reach the top corners of each step without spilling above, not blinding visitors when walking up, or sitting on the steps. 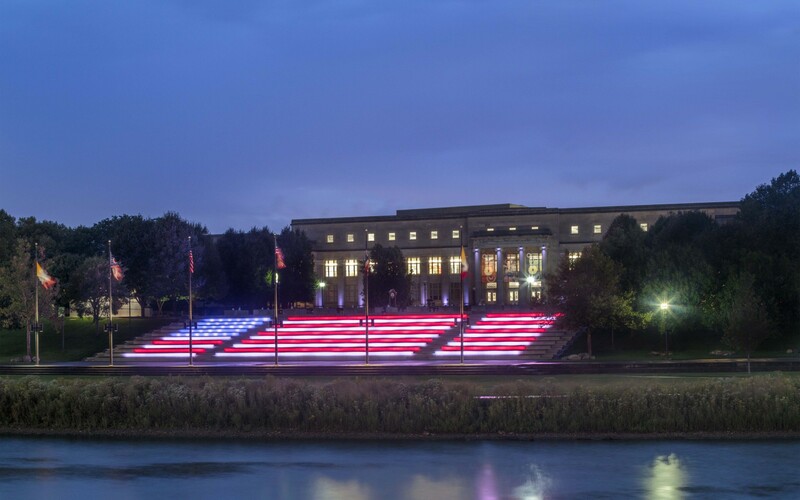 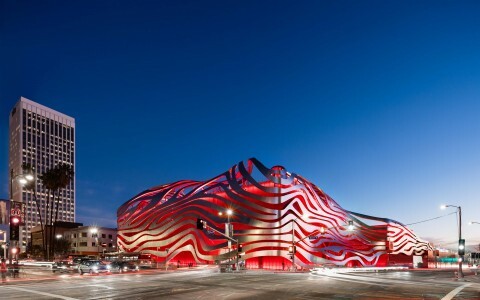 The total effect of the design and Lumenfacade luminaires has impressed, with Mayor Andrew Ginther coming out to witness the grand unveiling and first dynamic light show and projections where the American flag was projected crisply on to the step facades.